Join us for our 11th Annual CPLC Golf Classic/Bishop's Cup to be held on October 11, 2011 at Canyon Creek Country Club. Registration and lunch begin at 11:00 a.m, followed by the putting contest at 11:30. We'll tee off at 12:30 p.m. and enjoy 18 holes of golf, with drinks on the course, and end the day with a delicious dinner, contest prizes and a raffle. To participate in person at this great annual event, please register here to sign up your foursome or as an individual to be placed on a team. Invite your friends and be part of a fun day for the best cause of all – LIFE! 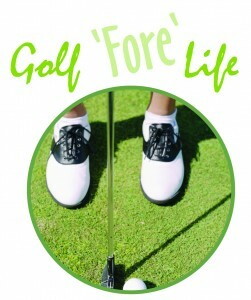 or 972-270-3019 or visit prolifedallas.org/golf. Date: Tuesday, Sept. 27 The rally kicking off the Fall 40 Days for Life-Dallas campaign will begin with praise & worship music followed by a spectacular speaker line-up including the powerful testimony of a former Planned Parenthood manager, plus Lauren Muzyka of the national 40 Days for Life team, GRN Radio Host Aurora Tinajero, Bishop John Lawson with Children of God Ministries and more! You won't want to miss this amazing event!! Please come and join us as we thank God for answering our prayers!! We will be celebrating the closing of the Sherman Planned Parenthood abortion referral center. David Bereit, one of the founders of 40 Days for Life, will be our special guest. So please plan on coming out to the former Planned Parenthood site to give thanks to the Lord for ridding our community of this evil influence and help us to continue to promote a Culture of Life in Texoma!! Sponsored by 40 Days for Life-Sherman. Learn how to mentor a mother facing a crisis pregnancy – become a Gabriel Angel! All meals and materials are provided. (Continental breakfast served at 8:30 a.m.) The training will also spotlight other CPLC ministries.
. Attendance at the August 27th follow-up session and Angel Commissioning is required. Date: Saturday, Sept. 17 Learn how to effectively share your pro-life beliefs with others. The CPLC Speakers Bureau will train you to spread the pro-life message to both youth groups and adults. Jenny has articulated Church teaching on procreation and she doesn’t even know it. There is a natural order to things and when that is bypassed and life is created in an artificial manner, it is easy to rationalize the killing of an innocent life down to a simple matter of 'control.'" A pro-life group has obtained more copies of 911 calls made by two abortion businesses in Albuquerque, New Mexico* concerning eight more women who have been victimized by botched abortions. . . . Together with five 911 calls released last month, the 13 calls show that life-threatening abortion complications requiring emergency assistance occur at the rate of one every 10 weeks, the group says. *Curtis Boyd, who operates one of the two abortion businesses being investigated in New Mexico, also operates the Southwestern late-term abortion center in Dallas.